WOW–yesterday was a busy busy day with the release of the SHARE WHAT YOU LOVE bundles, the new IN COLOR bundle, and the Truly Tailored Tutorial which is all about a ONE SHEET WONDER template! In the video that I shared the other day, I not only shared the 6 cards in the tutorial, but I also showed another set of cards with the One Sheet Wonder Template. 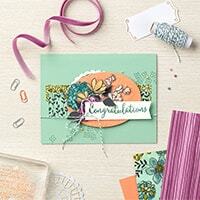 This set uses a piece of SHARE WHAT YOU LOVE Specialty Designer Series Paper (DSP) made with this same template. The beauty of this tutorial is that you can use it with any paper…..any stamps…..and cardstock & colors! I love how these 6 cards turned out and they were super simple!!! I used products from the GOTTA HAVE IT ALL BUNDLE that is now available. The products in this bundle are absolutely gorgeous. When you purchase this bundle, or either of the 2 other ones on special this month, I have an incredible collection of over 50 tutorials for 50 different cards! Each with all the cutting directions, supplies and step-by-step directions! Here are the 6 cards I made using the One Sheet Wonder template! What do you think? Do you like them??? Leave me a comment, I would love to hear from you! The template for this easy and fun “One Sheet Wonder” is part of my Truly Tailored Tutorial that was also released yesterday. I know yesterday was overwhelming, so I figured this post shares both the awesome specials going on and kinda puts them together! As always, if you have any questions, make sure to ask. Email me or leave a comment! Ready to order one of the fun bundles? Just click on any of the pictures below to go directly to the online store–it’s a one click bundle selection–EASY PEASY! Each bundle contains FREE PRODUCTS. These bundles are only available this month! 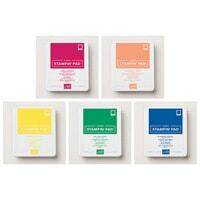 You can now also purchase a bundle with the 5 new In Color Stampin’ Pads!!!! And you save 10% when you order as a bundle! Just click the picture below to go to the store to order. These colors are scrumptious!!!!! Check out how fun, bright and trendy! Details for this cards are posted HERE. 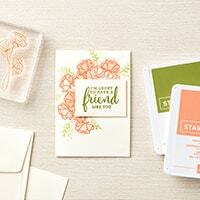 Notice that they also use the LOVE WHAT YOU DO stamp set and other products in the bundle! WOW–LONG POST…..but I hope you are loving seeing all these fun new ideas. I will be back tomorrow with a QUICK TIPS VIDEO–I know it’s been awhile since I have done one and I can’t wait to share lots of videos again to help you in all your stamping!!!! I just purchased your Truly Tailored tutorial and can’t wait to use the template for these cards as well. Love it! Thanks for sharing your creativity with us. You’re so welcome! Gladys, have you had a chance yet to make some cards yet? Is it possible to purchase your 50+ tutorials for the Love What You Do stamp and die set? Unfortunately this tutorial collection is not for sale as I worked on it with several other demonstrators with the agreement that we would not sell it–only give as a gift with a purchase–sorry. Thanks MarJean; I’m glad you enjoyed. Thanks for tuning in!